Lady and the Blog → Travel → Travel Blogging → Visit All The Wonderful Regions Of Florida! 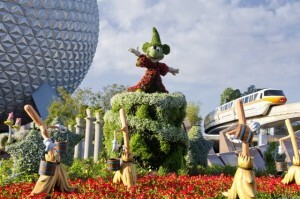 Visit All The Wonderful Regions Of Florida! I had the distinct pleasure of “Visiting Florida” right her in NYC! The fine folks from Visit Florida set up an event at A Voce restaurant in the Time Warner Center. While I noshed on Italian goodies and drinks, I was able to visit different areas of the entire state, from all the way North to all the way South, from the Gulf to the Atlantic, and all points in between. I really learned a great deal about so many areas I’ve never been to, some I’ve never even heard of! Florida tourism is booming for a reason…according to preliminary estimates* released by VISIT FLORIDA– the state’s official tourism marketing corporation – an estimated 85.9 million visitors came to Florida in 2011, an increase of 4.4 percent over 2010. This represents a record year for visitation to Florida, exceeding the previous high of 84.5 million in 2007. Direct travel-related employment in Florida also rose to a near record high of 1,013,100, adding more than 38,000 jobs and representing a 3.9 percent increase over 2010. Estimates for 2011 show a 3.0 percent increase in domestic visitors to Florida, a 5.7 percent increase in Canadian visitors and a 16.1 percent increase in overseas visitors. For 2011, 21.5 million Floridians took an in-state pleasure trip, an increase of 12.5 percentage points. These increases represent record highs for overseas, Canadian and in-state visitation to Florida. I know you have likely been to somewhere in Florida…be it Disney, Miami, or elsewhere. I wanted to give you a little synopsis of all the fine places that were good enough to speak to me. Here’s just a small little sampling of all there is to see and do! Space Coast – Located just 35 miles east (56 km) of Orlando – making it Orlando’s closest beach – the Space Coast is a nature-lover’s paradise; home to NASA’s Kennedy Space Center; Cocoa Beach – the East Coast surfing capital of the United States; the Eau Gallie Arts District – a burgeoning center for the arts, Trendy boutiques and a cool nightlife define Historic Downtown Melbourne, and much more! 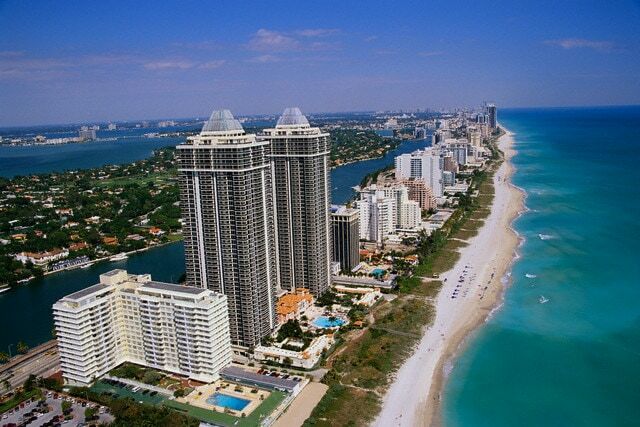 Miami – This booming city has it all: chic shopping, fantastic nightlife, gorgeous beaches, arts & culture. And more keeps coming including: the Volvo Ocean Race , new restaurants like The Dutch Miami and Villa Azur, and hot new hotels like The James Royal Palm and SLS Hotel South Beach. Why don’t you just check out this Visit Florida Road Trip Miami itinerary and let that be your guide! Florida Keys – Not too far from Miami are those wonderful islands known as the Keys. In many ways, this is about as far from America as you can be while still being in the US (no offense to AL and HI). From Key Largo to Marathon to Islamorada to Key West, each island is distinct and each island is there to be explored. Take that wonderful drive down US Route 1 (The Overseas Highway), which is worth it by itself…here, I have a map (Florida Keys Traveling the Highway That Goes to Sea) for you! Fort Lauderdale – Also not too far from Miami, the Fort Launderdale has countless things to see and do, in a comfortable yet chic beach environment. Great spots include The Museum of Discovery and Science, the Funderdome, shopping at the Village at Gulfstream Park, the “style mile” Las Olas Boulevard, and all those fabulous beaches! Here are some more ideas! St. Augustine/Ponte Verda area – St. Augustine is the Nation’s oldest city, but visitors to this historic destination and the luxurious resorts of Ponte Vedra will find plenty that’s “new” to enjoy for spring and summer 2012. In 2012, TripAdvisor named St. Augustine, Florida a top “On the Rise” American Destination. With, the availability of affordable accommodations, 42 miles of wide sandy beach and 500 years of history (think Ponce de Leon and the fountain of youth) to discover, it’s no wonder the area has become so popular with visitors. Here are a couple of great ideas: Historic Coast and Viva St. Augustine! 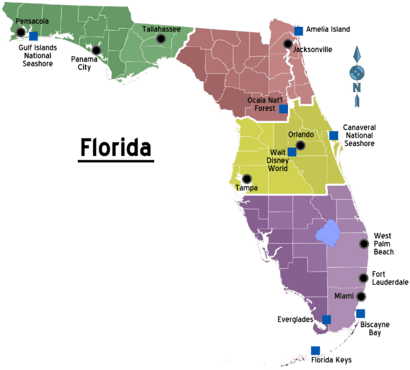 Naples, Marco Island and the Gulf Coast Everglades – Florida’s Last Paradise, this area has tons going on, from the Naples Botanical Garden and Golisano Children’s Museum of Naples to eco-tourism and the Naples Zoo and Naples Food Tours this area has it all. Here are some more great ideas: NewParadiseCoast. Tampa Bay – Nature to nightlife. Theme parks to theaters. Waterways to wildlife. Tampa Bay is a vibrant waterfront region with so many stories to tell. The day may be spent exploring on a colorful ecotour or teeing up at one of the many legendary golf courses. After dinner at a waterside café, visitors have endless choices of where to rest their heads with a variety of exceptional hotels and resorts. The days ahead may include the thrill of roller coasters or the intrigue of museum exhibits. With parades to performing arts and shopping to sunsets, Tampa Bay has it all! And a lot more including: Central Florida, Daytona Beach, Charlotte Harbor, Fort Myers/Sanibel Island, Sarasota County, St. Pete-Clearwater, and Pensacola! Florida looks beautiful! I have neveer been there, but would love to visit someday! You’ve put together a fantastic post here. Florida is one of the world’s top holiday destinations. Beautiful warm climate, great beaches, friendly locals, and plenty of wonderful attractions to visit and explore. Not to mention Disney World! Surely the holiday of a lifetime.